Recently, Ubar Grotto held its most successful Ceremonial to date. On Sunday, June 10, 2012, Ubar Grotto held its Junestated meeting. The house was packed at the Spring Garden Conference Center, located in Middletown, PA. With more than 45 Prophets and Candidates in attendance, it was a packed house with lots of laughs to spare. Two visitors also swelled the ranks – Pro. 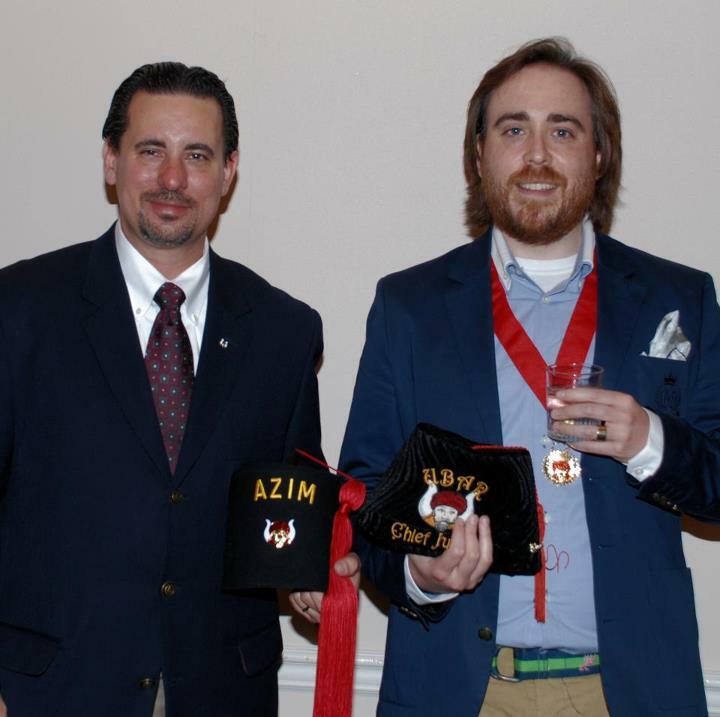 Victor Mann, Chief Justice of Azim Grotto, located in New York City; and Robert Krebs, member of Zafar Grotto in Williamsport, PA.
After a delicious dinner provided by Commonwealth Caterers, the Monarch called the meeting to order and took care of business. Petitions were read and all those seeking admission were approved. After the conclusion of the usual votes, the meeting was called off and a Ceremonial was held under the direction of Pro. Thomas R. Labagh, Vizier. A total of twelve new Prophets took the Grotto oath, raising Ubar’s membership to 65. This class grew Ubar by close to 25% in one night! Unfortunately, not all of the candidates could be there, leaving four more potential members lined up for the fall class. We would like to congratulate all the new members along with the Prophets who put on an excellent Ceremonial. While Ubar meetings are suspended for the summer, we look forward to seeing everyone at the Ubar Summer Picnic in August and at other events over the warmer months.